Remember, this is a by-appointment service; we do not have a retail storefront. Reservations must be made at least 24 hours in advance. Text 607-220-4153 or E-mail for quick reply. We will meet in the parking lot behind Press Bay Alley. 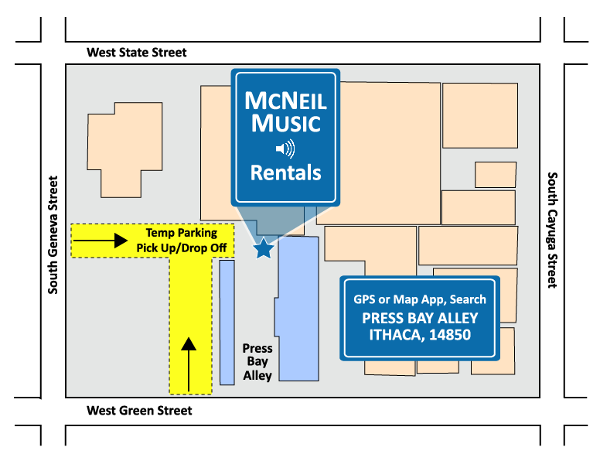 The entrance is on South Geneva Street between State and Green Streets in downtown Ithaca, NY. Pick-up and drop-off times: Weekdays, 6:00 pm. Weekends, noon. Or by appointment.